Did you ever go to a petting zoo as a kid, have an awesome time, but then your scaredy cat little brother just flips out and causes a scene? Well, let us be the first to say: It is a very hilarious scene to behold. The Jensen family recently went on vacation and visited the Tennessee Safari Park a few hours outside of Memphis. 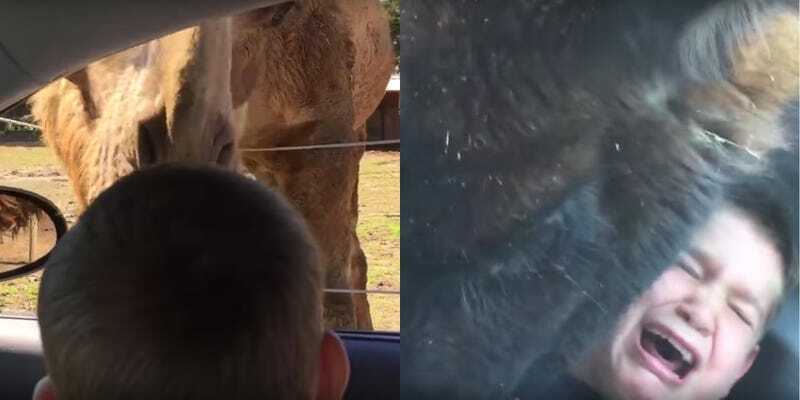 Apparently, at least one of the llamas was super hungry that day, because it stuck his head into the Jensen family’s car and scared the living hell out of the younger Jensen boy. His parents just laughed and laughed and laughed. Now, you can, too.